Abstract: Breast cancer is the most common type of tumor in women and an important cause of mortality in the female population. The early and precise diagnosis, staging, and treatment of this neoplasia are essential for public health purposes. Technological development, for example, of whole-body magnetic resonance imaging, made possible the adoption of new imaging modalities for a better approach for these patients. 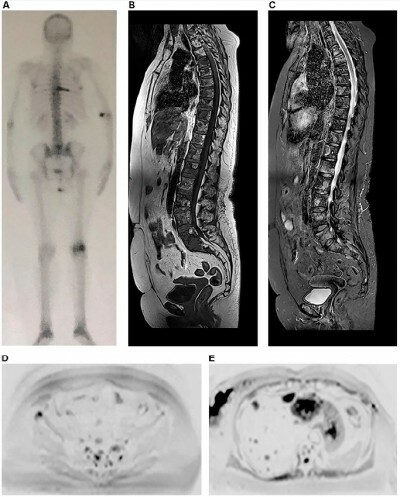 This imaging modality is helpful to staging, to therapy response assessment, and to the study of therapeutic changes in bone marrow, because it gives, at the same time, anatomical information using T1- and T2-weighted images, with high spatial resolution and tissue contrast, as well as functional sequences (diffusion-weighted images), which make possible the detection of hypercellular viable tumors.